Today I went to the Naples Grape Fest with Aprille and Joel. 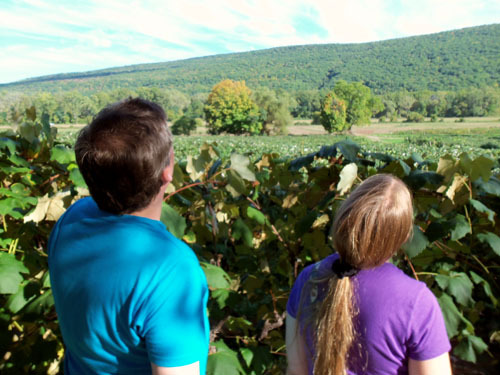 Oh the smell of grapes! All things grape! 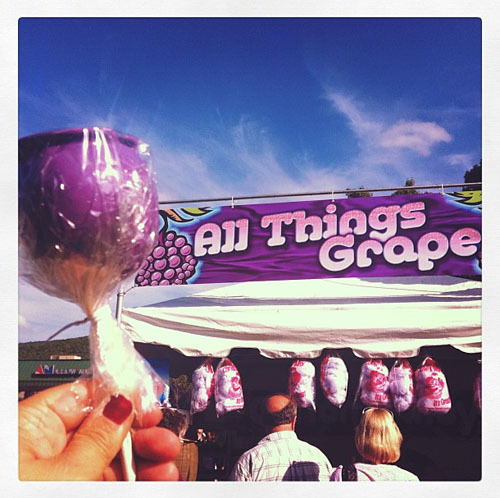 Grape juice, grape cotton candy and grape candy apples. Grape pies are the big hit though. 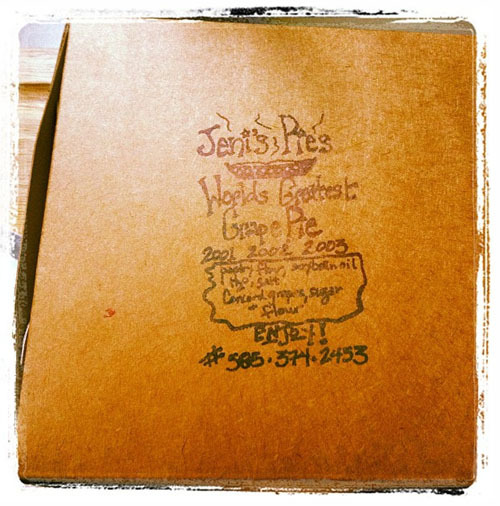 I never heard of a grape pie until I moved to Rochester - near the Finger Lakes. They are so good - I don't know why they aren't more widespread. And a chicken pot pie to enjoy at home.